It's time to gear up for the best time of the year! 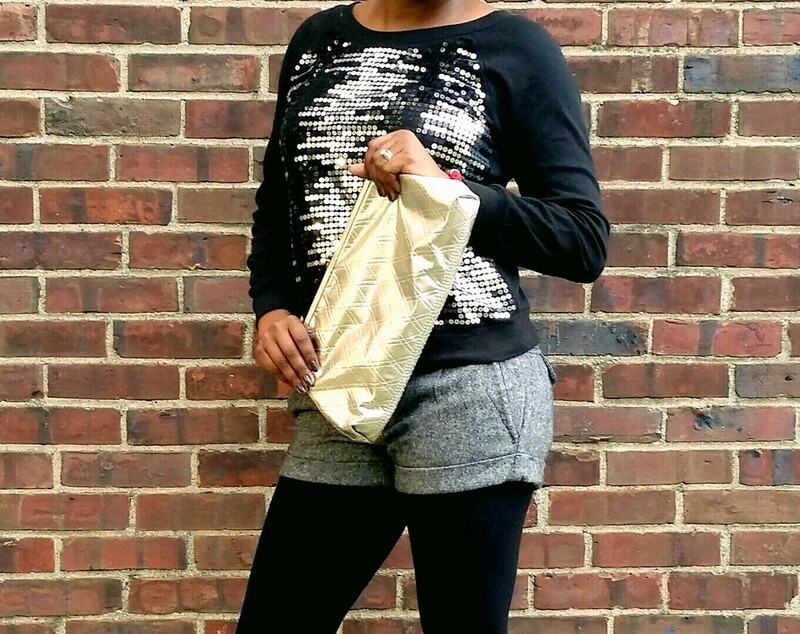 I am choosing this Holiday season to rock some Glitz and Glam into my wardrobe life! Every girl loves a spark and this is definitely the time of the year to pull it off. This outfit is the club, bar, night out with the girls kind of look. I am not a shorts fan but I'll be honest, I am really loving this look. 'tis the season to wear thighs after all right? and pairing these shorts with thick black tights is perfect. Accessorized with my handmade jewelry KADERIQUE Ode Bracelet in red and the metallic clutch, the whole outfit screams: I am ready to Partyyyyyy!! !